In The Little Prince novell of the famous writer Antoine de Saint-Exupery is hidden profound philosophical content. Eternal values ​​- love, friendship, loyalty - are revealed in the allegorical texts of the great Frenchman. 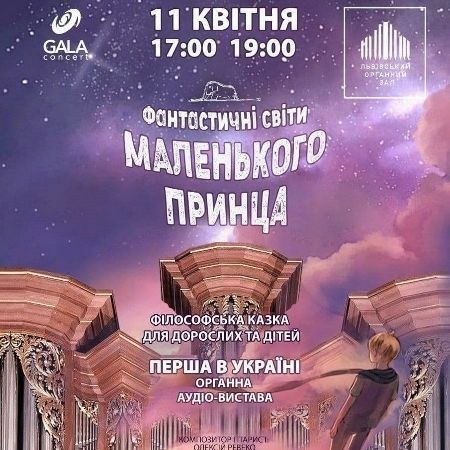 The Gala Concert and the Lviv Organ Hall are the first to present an audio performance on the text of The Little Prince that will not leave anyone indifferent. The grand organ, classical guitar and fantastic flute create together an incredibly sensual and inter-space music, which takes the viewer into the atmosphere of the extraordinary phantasmagoria. The show will be equally interesting for both children and adults. 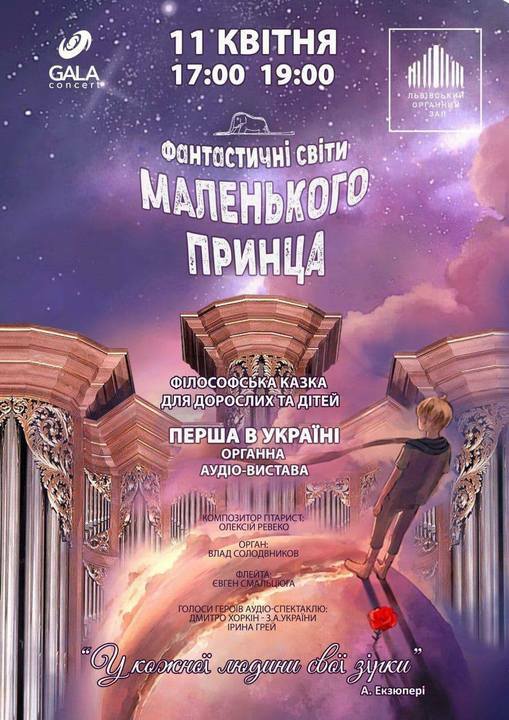 An exciting plot for young spectators and depth of quotations of Exupery will keep the attention of the public of all ages. And the main mission of the action - the establishment of good in all its classical manifestations. Honored Artist of Ukraine - Dmytro Horkin and Iryna Gray.